Beijing city has been planned to be organized around car traffic, hence the large streets, the several ring roads, the intricated network that enables a car driver to reach any point of the city rather easily (at least that was the intended purpose) and through large avenues. 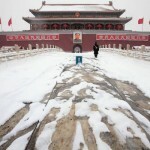 This policy has been a victim of its success and the number of cars on the streets that the authorities expected in 2010 has been reached in 2003, as a tribute to the Chinese economy growth. This says a lot about the car buying frenzy that has seized the Beijing citizens and why the government is trying to halt this trend that causes so many problems. The infrastructures were not ready to be used by so many cars, worse, the pollution issues are now unsustainable. The Chinese Academy of Social Sciences has issued an alarming statement last week, saying that air pollution has made Beijing « almost uninhabitable for humain beings ». Beijing authorities have tried to curb down car traffic, with several measures including a lottery system to get car licence plates, and incentives for bicycles. According to the last figures, this policy has had limited effect so far : 236.000 cars have been added on the roads last year. 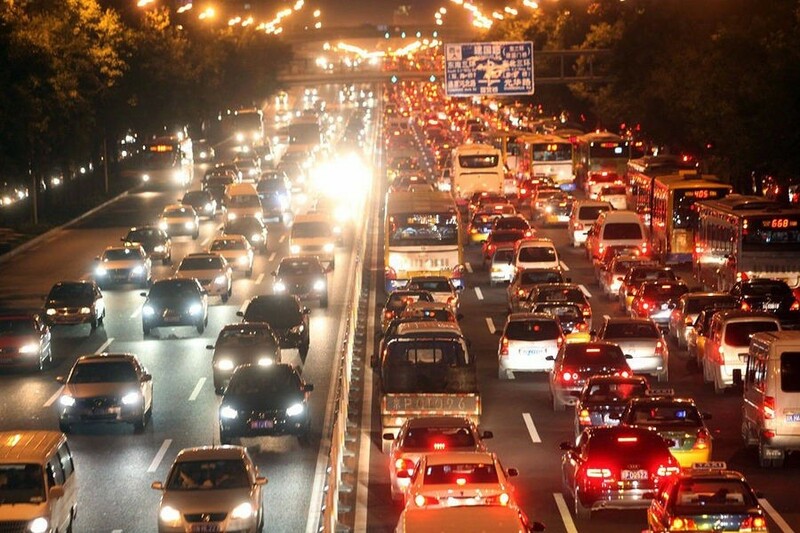 Meaning that there is now over 5.5 million cars in Beijing. This has worsened the traffic, worday’s trafic jams lasted an average of 1 hour 55 minutes in 2013, which is 25 minutes longer than in 2012. The subway system is being enhanced and has now 465 kilometers length, supporting 44% of the city’s passenger traffic. But this will take years before these measure can have an impact on pollution, when results are urgent. The pollution is having incidence on the economic developemnt of the city, which is less and less attractive. In the above mentioned report from the Academy of Social Sciences, 40 world large cities have been tested and ranked on the inhabitabilty criteria, and Beijing is at the 39th place (Shanghai, doing a little better, is 36th, but nothing to brawl about).